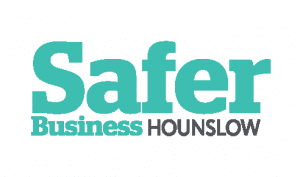 Hounslow now has a Safer Business Hounslow co-ordinator. Pritesh Patel started work at the beginning of September and will soon become a familiar figure in the retail centres across the borough. The scheme will be rolled out initially in Hounslow and Feltham, with Brentford and Chiswick following soon afterwards. It is a joint initiative between Hounslow Council, SBH and Hounslow Chamber of Commerce. This has been made possible as Safer Business Hounslow has received MOPAC (Mayor’s Office for Policing and Crime) funding for the establishment of a Town Centre business security and support network co-ordinator for 12 months. It is hoped that the scheme becomes self funding after that. SBH is the new name for Hounslow Business Against Crime, an organisation, which was established 10 years ago to create safer communities. Shopliftingand anti-social behaviour is a challenge for traders and town centres alike. Far from being a victimless crime, shoplifting increases insurance premiums for retailers with costs being passed on to consumers. Business related crime also includes staff harassment, property damage and vandalism. Crime Reduction Partnerships have gained popularity because preventing crime is more effective than clearing up after it, and because perception of safety directly impact on people wanting to visit their town centre. SBH works together with retailers and businesses, sharing information and best practice to improve the working environment and the public perception of the area. The mainstay of the initiative is a radio system linking businesses, incident reporting via a mobile app and dedicated co-ordinator. 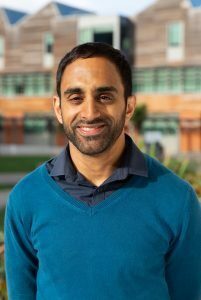 Prior to joining SBH, Pritesh has worked for a number of not-for-profit organisations in the sectors of Social Housing, and Conflict resolution. He has a Bachelors of Science in Economics from The University of Southampton, and has undertaken postgraduate study in Global Affairs and Analytics. He is passionate about using data to help businesses reduce their vulnerability to crime, having had first hand experience of its impact. The aim of SBH is to reduce crime, and the fear of crime, making Hounslow Borough a safer place to work, shop, live and invest.